When you’re on the move, particularly for extended periods of time, it’s not always convenient to carry standard binoculars. You may already have a whole host of things to transport. If this is the case, compact binoculars can make your life much easier. Not only are they small and light, the visual quality they offer is surprisingly good. As technology continues to improve, more and more people are turning to compact binoculars. There are some great quality products on the market, so rest assured you’re making a wise decision! Since you’re keen to find out more about compact binoculars, we’re more than happy to help! Here you will find our reviews of compact binoculars which explain all of the various features and accessories as well as those all-important pros and cons! While this is all very useful, you may still have some questions regarding which features to look for and how best to use your new purchase. For this, read on to our buying guide! Compact binoculars are about more than just being portable and storable! Thanks to the advances in technology in recent years, we’ve seen these binoculars improve in almost every respect. We feel that the Carson 3D Series is a great example of this. Sharp and bright images are offered through the ED glass since they reduce color fringing and the like. You don’t need to worry about the lens getting all wet or steamed up either since the O-ring seal and nitrogen purged body make these compact binoculars waterproof and fogproof. The texturized rubber exterior also provides good grip even when weather conditions are wet. 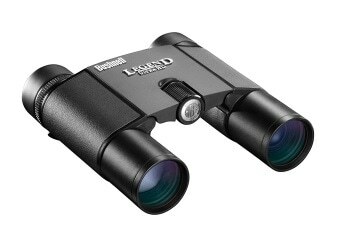 There are a number of other advantages that make these the best compact binoculars on the market. In particular, the extra long eye relief of 16mm makes this a great product for glasses wearers. We’re also impressed by the many accessories that come with the Carson 3D Series. This includes a carry case, neck strap, shoulder harness and lens cloth. Such accessories can ensure the safety of your new purchase. However, no lens caps are included. More important than these is a great no fault, no hassle warranty which is generally considered to be unbeatable. If you’re thinking about buying this product, we’re confident that you won’t be disappointed. At 0.51lbs and 4.6 x 2.3 x 3.4 inches, the Bushnell Legend Ultra HD 190125 certainly meets the requirements of compact binoculars. They also offer impressive visuals through the ED Prime glass which almost completely eliminate chromatic aberration and color fringing. As such, they perform well even in low light conditions. Although one slight concern is that some people may find it difficult to keep the image steady. In particular, we feel that the 10x magnification is quick and easy to use and produces excellent results. As is the case with most good binoculars, they are waterproof and fogproof so you don’t have to worry when the weather takes a turn for the worse. Overall, these compact binoculars have a solid construction that we feel will serve them well over years of use. Notably, the materials are of high quality with magnesium chassis and soft touch grips. The fact that the product is small and lightweight makes it ideal for anyone who doesn’t want to be weighed down when out and about. Whether you’re hiking or hunting, you’ll likely love the small, snug size of this product. It comes with a lifetime warranty so that you can use your new binoculars without any worries! You might think that compact binoculars are expensive but this isn’t actually the case. In reality, there are some great quality products available for even better prices! 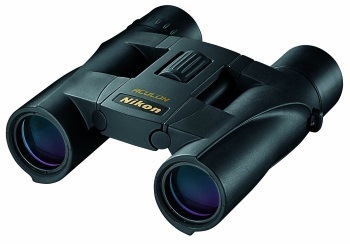 For us, the Nikon 8263 Aculon A30 are the best compact binoculars for the money. With dimensions of 1 x 4.8 x 4.5 inches, they’re certainly compact and at 0.61 lbs, they’re lightweight too. It strikes a nice balance between quality and affordability with the multicoated eco glass lenses. These provide respectable optics for the price whether you’re using them for bird watching or watching stadium sports! In our opinion, they’re best for close to mid-range use. As you might expect, there are some cons to consider when buying more budget compact binoculars. 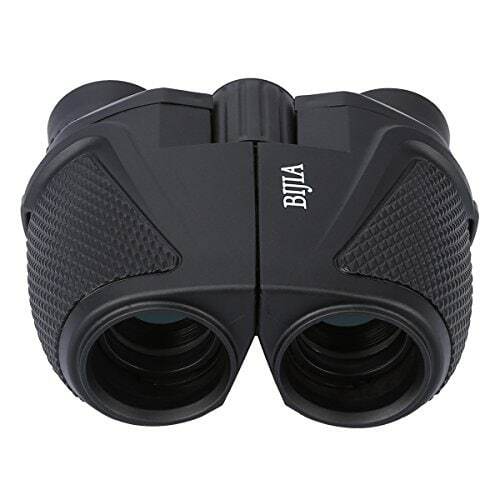 In particular, it’s worth noting that these binoculars are not weather proof and cannot be expected to perform well in adverse weather conditions. Also, some of the included accessories aren’t of the best quality but this isn’t too surprising given the price. Also, we have some concern about the eye relief which is only 13mm. This probably isn’t enough for most glasses wearers so this may prove to be an important point for you. Regardless of these issues, this is a product that offers good value for money and is worth considering. It’s important to have different options to consider even when you’re buying budget compact binoculars. Wingspan Optics ProBirder Ultra HD is certainly another product to investigate. One thing that particularly impresses is the visual quality even when zoomed in using higher magnifications. This is down to the ED glass that helps provide clarity free of color fringing and chromatic aberration. However, magnification is only offered up to 8x which may not be enough for some people’s needs. One of the main selling points of this product is in its durable build. We really like the textured surface and its ergonomic grip. Combine this with the low price and you don’t need to worry when taking these binoculars out and about. 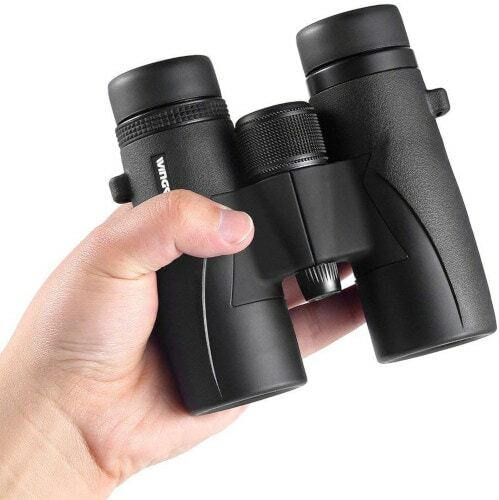 While these binoculars are considered to be compact, they’re not as lightweight and compact as many other products on the market. In fact, they weigh 1.92 lbs and have dimensions of 3.25 x 6.75 x 8.05. This is, therefore, something to consider if you are looking to travel light. 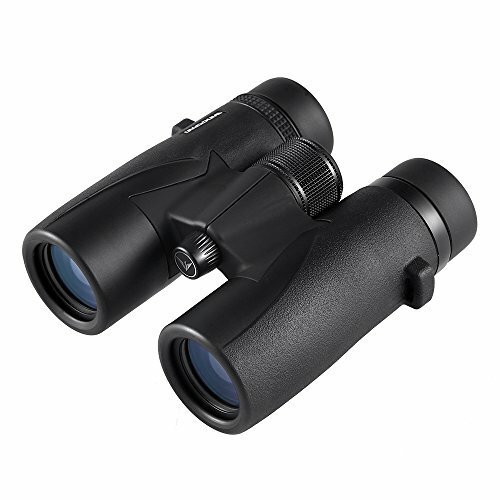 Extra value is added to these binoculars via the various accessories that are included. With it, you can expect a neck strap, carrying case, lens caps and microfiber cleaning cloth. Overall, this is a very good value option with plenty of positives. It may just come down to whether you’re willing to accept the size and weight of these binoculars. Even cheaper than the great value options listed above is the G4Free 12×25. What’s even more impressive is that this super cheap product actually offers 12x magnification with 25mm lenses. These binoculars are also waterproof and fogproof which is surprising when you consider that some products at double the price can’t say the same. 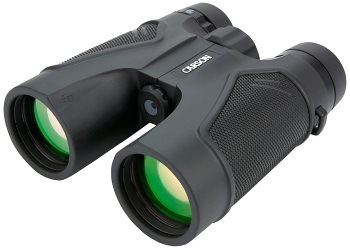 Weighing just under 1lb, these are not the lightest compact binoculars on the market. In fact, at 5.3 x 5.1 x 2.6 inches, they’re not the smallest either. Whether you’re willing to compromise on this is down to your specific binocular usage. What makes this a great value product is not just the binoculars themselves but also the accessories included for the price. The strap, carrying pouch and cleaning cloth are obviously not of premium quality but they’re better than nothing and you can always upgrade these over time should you wish. They’re great binoculars for both adults and kids since they’re particularly easy to use. The focus knob is easily accessible and adjustments are very convenient. Overall we’re very impressed by what this product has to offer from the optics to the ease of use. We think you will be too! Much like any other type of binoculars, buying a pair of compact binoculars means considering a variety of factors. By exploring our buying guide below, you’ll be able to save a lot of time and effort in deciding which product suits you best! Let’s get started! Porro Prism: These are known for having a wider shape due to their use of an offset internal prism. This is what helps magnify the image. You’ll see that the lenses are further apart and, as a result, produce some excellent 3D images. The main downside to this is that they’re less compact as a result. They’re quite cheap to manufacture and are therefore able to offer good optics for a very good price. Roof Prism: The design of the roof prism is much smaller than the Porro Prism which results in smaller and lighter binoculars. Thanks to advances in technology, Roof Prism binoculars now offer excellent image quality which is on a par with the optics of the Porro Prism. As a result of this, the roof prism is much more popular nowadays. This is the design that you will most often see when hunting for your own pair of compact binoculars. So which type is best for you? In our opinion, it has to be the Roof Prism binoculars. These are the most common and since they’re also the smallest and lightest, they make the most sense when it comes to compact binoculars. The visual quality offered by Roof Prism binoculars has improved immensely over the years and therefore it makes sense to choose this particular option. Remember, if you ever need more power in the future, a spotting scope could be a useful alternative to binoculars. The most obvious advantage of having compact binoculars is that they’re compact! Being smaller and lighter, they’re much more portable and storable than full-sized binoculars. As such, it’s much easier to take them with you on long hikes, hunts and bird watching trips! What’s more, advances in technology means that compact binoculars are now offering great optics which are comparable with many bigger binoculars. Finally, quality is constantly improving while prices continue to go down! You can get a great pair of compact binoculars for a very competitive price with a little research. There are few disadvantages when it comes to these binoculars. It could be argued that they lack the power of some bigger binoculars but this is increasingly less so. 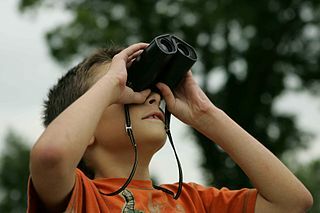 The whole point of binoculars is to see objects better than the naked eye allows. This comes down to magnification. As you explore the various products on the market, you’ll likely come across a set of two numbers each time. For example, 8×42. The first number refers to the amount of magnification while the second indicates the size of the objective lens in mm (we’ll discuss this in greater depth next). The magnification you find in a pair of binoculars could be anything from 4x to 15x. However, since you’re looking at compact binoculars, you’ll mostly discover those that are between 8x and 10x. These offer a great balance between image quality and overall size and weight. Remember that the higher the magnification, the more noticeable hand wobble can become. As we’ve mentioned, the objective lens size is given in mm. While these can be as much as 50mm on some binoculars, you can expect the object lenses to be much smaller on compact binoculars. For example, many compact binoculars have an objective lens size of 20-25mm. The larger the lens, the greater the amount of light that will enter it and the brighter an image will be. This is especially important if you’re planning on using your compact binoculars in low light conditions. Another thing to consider regarding the lenses is that the bigger they are, the heavier the binoculars! This is one of the reasons why compact binoculars tend to be smaller and lighter. While compact binoculars are more portable due to the smaller lenses, it can be more difficult to use them in low light as a result. While the objective lens size helps determine how big and bright an image will be, the field of view is about how much you’ll be able to see. Essentially, the field of view is the width of the image that you see. This can be important when you’re tracking wildlife or simply studying a large area. The greater the field of view, the easier it is to follow a particular object since the image is less magnified and hand wobble is reduced. Field of view is measured over 1000 yards. A wider field of view is particularly recommended for bird watchers as it’s easier to follow a moving target. The field of view is determined by the physical size of the binoculars as well as the design of the lenses. As such, some compact binoculars offer a wide field of view and some don’t. Are you a wearer of glasses or sunglasses? If so, eye relief is of great importance when it comes to your compact binoculars. This refers to the distance in mm between the eyepiece and your eye. You shouldn’t have to keep removing your glasses every time you want to look through your binoculars. You want the eye relief to be long if you’re a glasses wearer. This will allow you to wear your glasses away from the eyepiece and still have a full field of view without missing any of the picture. We recommend having at least 14-15mm of eye relief but 16-18mm is ideal. Be sure to check in advance of buying a particular product to avoid disappointment. 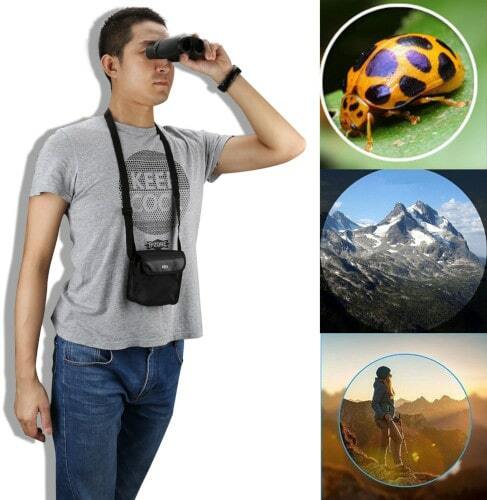 Some compact binoculars come with adjustable eyecups and these can be useful in such cases. As has been touched upon a few times, the size and weight of your compact binoculars can be of the utmost importance. Such things determine your comfort when you’re carrying them around and using them. We highly recommend that you take the time to look at the weight and dimensions of products before buying. Some binoculars that are listed as compact are actually quite big and heavy so try to avoid falling into this trap. If you can find binoculars that are no heavier than 1lb, we think you’ll be very satisfied. Some are as light as 0.5lbs which is even better! Consider what you will use your binoculars for and how long you’ll use them at a time. By thinking about such things, you should get an idea of which type is best for you. As you can see, there’s plenty for you to consider when buying a pair of compact binoculars. From magnification to eye relief, there are various factors that can help separate one product from another. We think that compact binoculars are a great option for anyone who wants to travel light and have the best of both worlds when it comes to visual quality and portability. Advances in technology have played a big part in the popularity of compact binoculars. They’re now better than ever before at a more affordable price. So consider our reviews of compact binoculars and the various points of our buying guide and we’re very confident that you’ll find a great product. We hope you enjoy your binocular activity for many years to come.